The large, beer-filled, boot-shaped glass termed "Das Boot" in the movie served as the grand finale' of all of the drinking games. Actually "Das Boot" translates as "the boat" in English. "Der Stiefel" would be the correct German terminology for "the boot." Such "beer boots" are known as "Bierstiefel" in Germany. 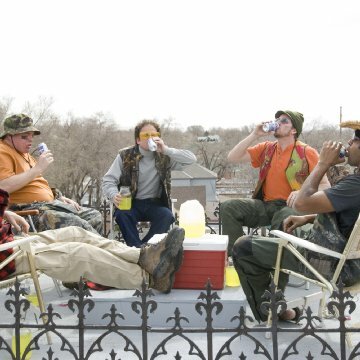 They are descended from the centuries old German soldier's tradition of accepting the challenge to drink beer out of another's boot. 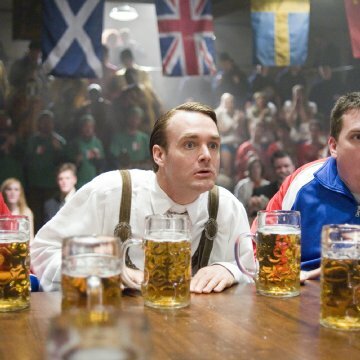 Errors made by characters (possibly deliberate errors by the filmmakers): Todd plays in the final game because the Germans claim he has not participated in any of the events, which breaks the rules of Beerfest. 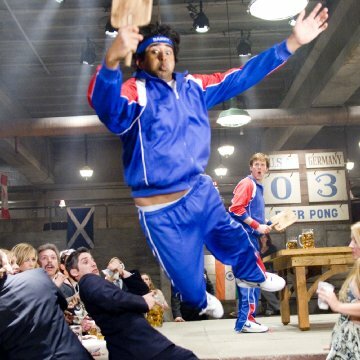 However, he is seen (poorly) playing Beer Pong against the English team shortly after the competition begins. One possibility is that every team member must participate in every round. Steve "Fink" Finklestein: Nathan Cornwell has just discovered Pneumonoultramicroscopicsilicovolcanoconiosis. Big round of applause people, big round of applause. Let me start by saying that I loved Super Troopers. Club Dread on the other hand was not one of my favorites. So i was hoping that this would be better than Club Dread but I did not think it could even compare to Super Troopers. But was i wrong. This movie was absolutely hilarious. I just don't understand why people are giving it terrible reviews. It was the funniest movie I have seen in theatres in a long time(as well as Clerks II). 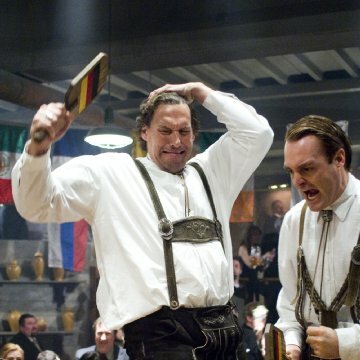 I understand the lack of plot but who says lets go see Beerfest, it will probably be a great epic? I went to see people drink beer, get wasted and do stupid things and thats exactly what I got. I laughed from the beginning to the end of the movie, there was not a dull moment in the whole thing. And when the American team was competing against the other countries, I was cheering as if i was watching a real professional sport. So, if you are looking for a good laugh and an all around good time go see Beerfest you will not be disappointed.